Unroll dough; separate dough into 4 rectangles. Firmly press perforations to seal. Spread each rectangle with about 3 tablespoons cream cheese spread. 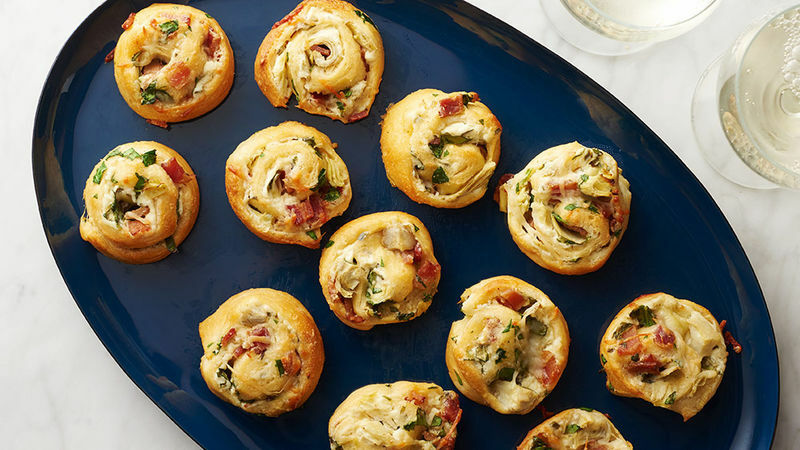 Top with artichoke hearts, bacon, Parmesan cheese and spinach. Starting at shortest side, roll up each rectangle; pinch edges to seal. Cut each roll into 5 slices. Place cut side down 1 inch apart on large ungreased baking sheet. In small bowl, mix melted butter and garlic powder. Brush pinwheels with butter mixture.